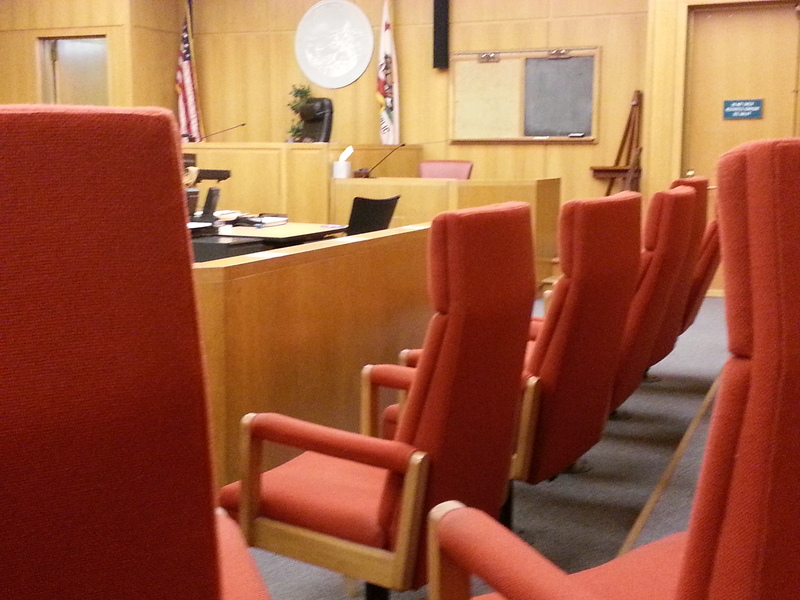 ← One juror’s experience. Excellent read. Knock it off. You’ll win more. One comment really struck me—in part because of its content, and then an echo wave of agita because I then realized how many times I had heard lawyers say similar things albeit less bluntly for the last 20 years. It came after several suggestions from other lawyers, and apparently, this poster had had enough. I think my favorite thing was that he misspelled ‘too’ in the first sentence. And yes, this guy’s post is extreme, so it makes it an easy target, and easy to dismiss as abnormal for courtroom lawyers. That would be comfortable. But wrong. Yes, his comment is intemperate, but if it were dialed down to about a ‘5,’ lots of lawyers have said similar things. Maybe in many cases without realizing how contemptuous or condescending it is to look down on people just because they don’t know certain discrete things that we do—or that they simply don’t agree with our view. How familiar do any of these sound to you? They are out of their element and squarely in the courtroom lawyer’s playhouse. All the prospective jurors who had great knowledge about the subject of the case got excused during jury selection, which counsel should damn well understand because they challenged them. It has always struck me as crazy hypocritical when lawyers complain that jurors “don’t know anything” after actively booting off the ones who did. No, I am not suggesting leaving the subject matter experts on your jury. Of course they have to go 98% of the time. But do quit complaining that jurors don’t know anything when we rigged it that way, and take the damn responsibility for educating the remainder in a way that benefits our side. Jurors don’t need things “dumbed down” – they need things clearly explained to them just as you would if you were thrust into a foreign arena in which you have great responsibility accompanied by the insecurity of knowing that you are not native to these parts. It should be obvious that (a) they didn’t go to law school like you did, (b) they don’t know the same phrases you didn’t know either before going to law school, and (c) you and your counterpart cleared out all the ones with experience and education in the topic. Oh, and (d) in a universe of things, there are things they know that you don’t. I recently had a jury that included an electrician, a forensic accountant for the IRS, a lawyer who does mergers & acquisitions, and a director of a non-profit youth organization. I freely admit that I am quite unknowledgeable about everything they do beyond the pitifully elementary. I’m not stupid and neither are they. We just know different stuff. It’s a big universe. And if explaining things clearly to an audience you understand to be a group of laypeople with diverse experiences, careers, walks of life, and education is described as “dumbing it down,” someone must explain to me what is so damn smart about pitching one’s case to a group of laypeople using language and jargon that is accessible only to the initiated. Try this. Imagine that you have been forced by law to go to Australia—a place where they speak English . . . but it’s not English like you speak it. There are phrases that sound somewhat familiar but you’ll eventually learn have different meanings than you think, along with plenty of phrases that have no meaning at all to you. Two locals with mostly opposing agendas are going to shower you with exhibits and waterlog you with words to get you to side with them. You are very limited in the kinds of questions you can ask to clarify anything, and the guidance they provide at the end is often unclear and confusing—yet you are the one who will have to render a decision that will affect a lot of people. Got the hypo? Have you put yourself in that state of mind? Good. I have one question for you. Or are you just out of place a little bit? Are you maybe in need of a little compassion that you got yanked out of your life where you do understand most things? Put into an unfamiliar setting with an elaborate culture you know little or nothing about? And if they would just explain things appropriately for someone they already know isn’t very familiar with this stuff, you would be fine? What would you think of the Australian advocates who are doing their block when you don’t seem to av-a-go-yer-mug; you think they’re going flat chat and have tickets on themselves, while they consider you a drongo? Exactly. You would think those advocates should make it easier for the audience they knew they had. Monitor your language to make sure it is always accessible to laypeople. If it’s a phrase that you didn’t know before law school, find another way to say it. No Latinate phrases; no Old French (for the love of god and all blessings throughout the universe, especially not voir dire). Do not define non-essential terms using clear layperson language, then use those terms. Just use the clear layperson language you used in the definition! This drives me nuts in court. For instance, it is unnecessary to define “dissolution” as “divorce,” then go on to use “dissolution.” Just use the easier, clearer word—there is no reason jurors ever need to master the word “dissolution.” There is no gain in telling them “If I ever use the phrase ‘the court,’ that really means ‘the judge.’” Just say “the judge” and eliminate “the court” from your vocabulary as a synonym for “judge,” as many jurors are not going to care about your industry’s jargon any more than you really care about theirs. Besides, it’s just pompous and you know it, or you should know it. A bonus example I have preached about before, there is no reason to define or even say the words “voir dire” EVER. The judge just told them something to the effect “the attorneys will now ask you some questions.” That pretty thoroughly covers it. Keep in mind who is asking whom for help in this scenario, and absolutely own the responsibility for making it easy for them to help you. Again, I was struck by the disdain for jurors held by someone who presumably does jury trials. In many studies of civil cases, panels of subject matter experts read trial transcripts and look at the exhibits, and describe what their verdict would be. It ends up being the same as the jury verdict over 90% of the time. That’s not coincidence. In between not knowing that ‘proximate’ and ‘approximate’ are different words, not knowing that ‘damages’ means money and does not refer to damage, they somehow manage to get it right. And if you sincerely believe that in a given case they didn’t? Ask yourself who their trail guide was through the unfamiliar territory. If you have not already read these somewhat related posts, I invite you to do so: Lawyer Vocabulary Banishments, Part 1; Part 2; More On Jury Selection; Where the Mind Meets the Mouth. Love it and couldn’t agree more. Throw in some good, old fashioned snobbery from the coasts in the Eastern District of Texas courts where I practice a lot and it’s a miracle some of these guys ever eek out a verdict. I’ve said for years there are two kinds of lawyers in a courtroom: one loves juries and RESPECTS them. A lot of those guys are from the “other side of the tracks” themselves and have an everyman attitude. The second kind is afraid of juries. These are the guys who think they are the smartest guy in the room, that the jurors are beneath him. This is the guy, who thinks that rural jurors are BY DEFINITION somehow dumber than city folks. The problem for the second guy, in my mind, is that he can’t do much about it. Sure, he can employ some tactics to improve his delivery, but he can’t change his heart. At the end of the day, he simply believes he is superior and anything he does to try to improve it is really just cynical and self-serving– and the jurors can smell it. Thank you, Tara. I agree with you completely (as usual).